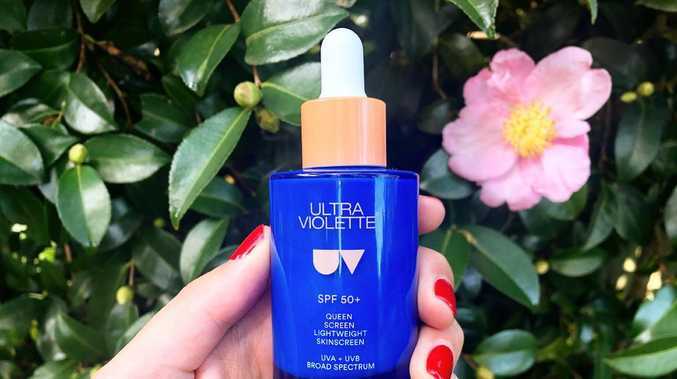 The Beauty Diary: Ultra Violette's Queen Screen Sun Serum is the sunscreen to ends all sunscreens. The entire global beauty industry is controlled by a few giant companies - and they're all led by men. Despite the fact that the majority of their consumers and their staff are female, the CEOs of Estee Lauder, L'Oreal and Sephora are all blokes. These big conglomerates own hundreds of our favourite beauty brands and they control the majority of makeup and skincare purchasing decisions made by women around the world. So it can feel like a small act of feminist defiance to choose to buy beauty products from smaller, female-founded and led brands. Australia has no shortage of incredible female entrepreneurs and their stories deserve to be shouted from the rooftops. So while we wait for Emily Weiss to get her act together and finally launch Glossier in Australia, we can keep our beauty cabinets stocked with the excellent products from these cool companies made right here at home. Here are five amazing female-founded brands worth knowing about. Ultra Violette is a new Australian beauty brand founded by Melbourne woman Ava Matthews that's been absolutely blowing up on Instagram lately. Ava used to work on the team that makes in-house products at Mecca, and now she's taken all that knowledge and used it to create her own awesome sunscreen line. She's super passionate about sun protection and set out to create a range of sunscreens that would encourage women to protect their skin from the sun. Her hero product, Queen Screen SPF 50 Luminising Sun Serum ($47), looks and feels like a serum. It's honestly a game-changer in the SPF market and everyone who always complains about never being able to find a sunscreen they love needs to try this product. Queen Screen comes in a very cute blue bottle with a dropper and the texture is very light weight. It's hydrating, but not greasy, and goes on beautifully under makeup. If you're feeling lazy, you could just wear this and nothing else on your skin. BEST PRODUCT TO BUY: Literally everything. Aside from Queen Screen, there's a hydrating sunscreen (Supreme Screen SPF 50_ Hydrating Facial Sunscreen - $45), a matte physical mineral sunscreen (Clean Screen SPF 30 Mattifying Mineral Skinscreen - $42) and an excellent lip balm (Sheen Screen Hydrating Lip Balm - $25). They're all available online at ultraviolette.com.au. Founded in 1999 by Australian business student-turned-entrepreneur Kate Morris, Adore Beauty is an online-only beauty retailer that sells pretty much every brand you could ever want. Kate used her savings and a $12,000 loan from her boyfriend's parents to start the business and now it's a multimillion-dollar company. Despite the fact that Kate sits on the Australian Financial Review's Young Rich List with a net worth of about $30 million, she is open about the hard work it takes to run a beauty company and seeks to constantly innovate. 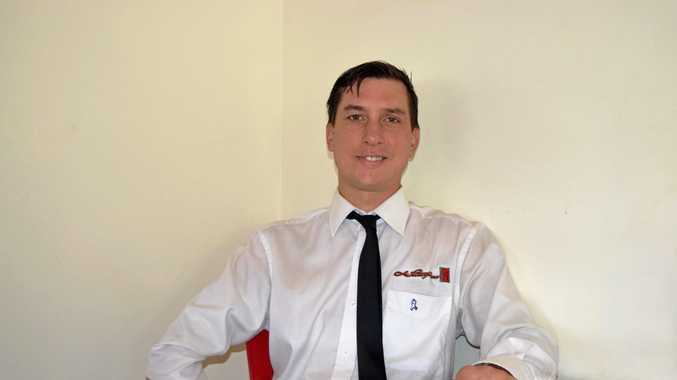 For example, with every order each customer can choose to add several free product samples to their order, as well as receiving a free Tim Tam, and now the brand does not use plastic in any of its shipping packaging. Adore Beauty stocks everything from high-end cosmeceutical brands like Aspect and Comedix, as well as budget brands such as The Ordinary and Weleda. PS: You have to follow Kate on Instagram for her very chic outfit pics and awesome hair selfies. BEST PRODUCT TO BUY: Embryolisse's Lait-Crème Concentré Moisturiser ($38). Former model agent Shelley Sullivan launched ModelCo in 2002 with her first product, a heated eyelash curler. Since then, she's become famous for her "Tan In A Can" and glorious hot pink packaging. The best thing about ModelCo is its accessibility. Most ModelCo products are stocked at the supermarket or your local chemist, and cost about $20. Shelley's tubing mascara is actually one of the best mascaras out there and you can usually find it on sale at Woolies for about $10. BEST PRODUCT TO BUY: LashXtend Extension Mascara ($22), from Woolworths, Coles, Priceline, Chemist Warehouse, Adore Beauty. Sheetmaskshop.com.au is an independent Australian online beauty store that does exactly what it says on the tin. The range of sheet masks stocked on this website is pretty incredible, plus there's an awesome range of Korean skincare products, some of which are difficult to find in mainstream retailers. The prices are dirt cheap and there is a $7 flat rate for shipping across Australia. What's not to love? BEST PRODUCT TO BUY: The COSRX Acne Pimple Master Patches ($5.50) and Dr Jart Cicapair Calming Mask ($6.50). Australian pharmacies are a long way behind the US when it comes to offering affordable access to natural health and beauty products. Finding a 100 per cent natural product in your local supermarket or Priceline is hard, but Irene Falcone's online megastore A Nourished Life makes it easy. It stocks literally every single natural product you can think of, from mascara made from charcoal to organic cleaning products. Irene started the brand with just $100 - using it to buy 100 natural lipsticks from the US, then onselling them to her Facebook friends - and now her business turns over about $20 million in revenue. There is nothing like it in the Australian market, where consumers are increasingly demanding more organic and natural beauty options. BEST PRODUCTS TO BUY: Serums from Byron Bay brand Biologi ($64.95 for the hydration serum) or the iconic Weleda Skin Food moisturiser ($22.95 for a big 75ml tube). This column is not sponsored and this is not advertorial content. Every review is independent, honest and ad-free. If you have a beauty question or a product you'd like us to road test, DM me on Instagram or tweet me.